We’re back at the Designated Box Flattening Area on Saturday, April 27th — with four bands that are get-outta-town terrific. Newfound Upstate-based indie pop outfit Nova Coastal gets the night started, followed by Clemson twee pop band Orange Pippin and indie rock group Monsoon Room. Finally, Columbia rock n’ soul trio Watson Village caps off the night in Greenville, South Carolina. 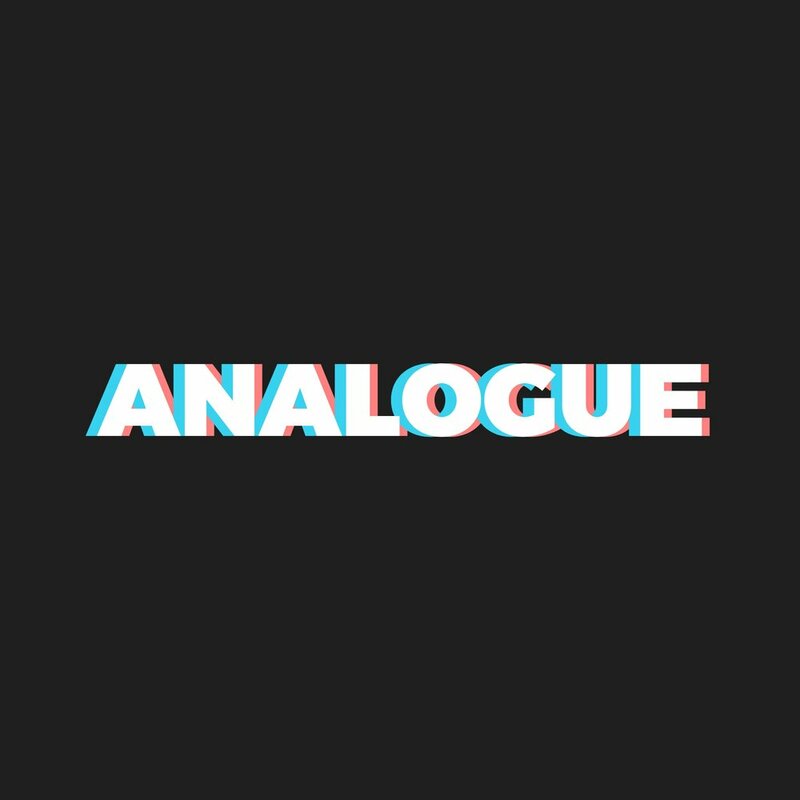 MYFEVER is back and better than ever with “Analogue”, the band’s riveting new single and first taste of 2019. Listen to it now on Spotify and add it to your garden party playlists this spring. The Atlanta-based indie rock group recently holed up to write and record at the historic Echo Mountain Recording Studios in Asheville, North Carolina. Get an inside look at that session below and keep your ears to the ground for more new music from MYFEVER this year. We’re happy to announce that Fox Grin has been handpicked to compete in Lightning 100’s annual Music City Mayhem — the springboard for Lightning 100 to discover and support growing musical acts into success. Thirty-two bands are chosen to battle it out on-air & online until the fans choose the final four. Give our favorite Nashville psych-pop outfit your vote to help Fox Grin win a chance to play at Lightning 100’s Live on the Green music festival. Fresh off the heels of performing a sold-out show with Steve Miller Band, we’re teaming up with Brother Oliver this week for another roaring Midwest adventure. The folk rock duo returns to America’s heartland for the first time in six months with stops in Kentucky, Ohio, Illinois, and Michigan — the state where the Olivers were born and raised. Find the dates below and follow the band on Facebook, Instagram, and Spotify to stay tuned in all their latest happenings. Nashville-via-Atlanta outfit Fox Grin officially returns from hibernation this Friday with their latest effort Dusk, a kaleidoscopic explosion of vibrant indie pop and sparkling art rock soundscapes — but you can hear the record early today via The Big Takeover. Dusk is the third full-length release in Fox Grin’s discography and follows 2018’s excellent King of Spades. In case you missed it, the new album’s previous singles “In White” and “Eclipse” were previously featured on Substream Magazine and Brightest Young Things, respectively. Take an an intergalactic voyage with Denver-based outfit Eldren and their new music video for “We Just Want The World” — now debuting via AXS. Bursting with psychedelic waves of indie pop, "We Just Want The World" comes from their latest album Miss Information Aged, which arrived in September following a climactic two year run for Eldren — that saw the untimely death of their founding bassist, but the joys of sharing stages with Cold War Kids, The Black Angels, Imagine Dragons, Dr. Dog, and more. Premiere: Lonely Lover Shines On with Latest Single "All The Books I've Read"
South Carolina artist Lonely Lover aka Timothy Ezekiel Bell is here with “All The Books I’ve Read” — a nostalgic, bedroom pop anthem glowing with bright indie electronic elements and gut-wrenching verses. It’s quite a natural progression from the ukulele-folk pop found on the Anderson-based songwriter’s prior releases and enough to warrant the fitting new moniker. “I think all of us can relate to giving it our all to someone and still walking out empty-handed”, says Bell on the new song — his first in over two years following recent 2019 single “Brand New Car”. Both tracks appear on Lonely Lover’s upcoming Late Bloomer EP, which was produced by WVRM guitarist Derick Caperton and officially arrives on March 15th. Thank your lucky stars for Fox Grin’s new single “Eclipse” — debuting today with Brightest Young Things. A sparkling indie rock getaway powered by art-pop orchestration and breathtaking vocal harmonies, it’s another taste from their upcoming album Dusk, out March 22nd. If you’re in the Southeast, catch the Nashville-via-Atlanta band performing live in a city near you. Premiere: Excons Reload on Latest Single "I Know How The Rich Live"
South Carolina jangle rockers Excons return this week with new album Sea Shanties — and we’ve got the premiere for lead single “I Know How The Rich Live” below. A late-night rendezvous with shades of psychedelia and blues rock, the band finds themselves on a darker path compared to their previous releases. Find the nautical album artwork and tracklist below — and don’t miss Excons’ record release party for Sea Shanties this Friday, March 1st at Horizon Records. Nashville-via-Atlanta outfit Fox Grin return from hibernation this spring with Dusk, a kaleidoscopic explosion of vibrant indie pop and sparkling art rock soundscapes. Officially arriving on March 22nd, it marks the band’s third full-length album and second in two years following 2018’s excellent King of Spades. Says Fox Grin founding member Thom Chapman: "We love when albums have a full and complete concept. With Dusk we wanted the sonic palette to reflect bright and colorful songs at the beginning of the album and slowly transition into darker thematic and sonic territories. By the end of the album we really wanted to convey a feeling of night-time and darkness. " Find the artwork and tracklist for Dusk below — and stay tuned for more from the pack in the coming days ahead. Take a break with “Coffee and a Cigarette”, a sunny indie rock revival buzzing with charming notes of psychedelic folk. It’s the first taste of new music from Brother Oliver in 2019 and debuting today courtesy of AXS. Stream it now and get ready for another giant year of brotherly love. South Carolina sibling act Brother Oliver jumped a step closer to becoming a household name beyond the Southeast behind some stellar statistics this year. They played more than 220 shows across 18 states — amounting to over 5k+ songs played and 45+ miles driven. Check out the graphic above to get a full appreciation for their hard work, and stay tuned for an even bigger year from the band in 2019. Feel the love on February 24th in Greenville, South Carolina — as Future Chord Presents Summer Heart, Brothertiger, and Rögg Collins at The Radio Room. Tickets are available at the door for $10 and the show begins at 8pm (RSVP here). John Jagos, better known by his stage name, Brothertiger, began his initial forays into electronic music at an early age. His discovery of analog synthesis drew him into a world of endless possibilities, and led him to an abundance of influences from the past, particularly from the early 1980s. While studying music production at Ohio University, John began constructing a solo project that encapsulated his influence in early ‘80s synth music. Now, after spending much of the past few years writing and recording, John is focused on releasing a new album and debuting an engaging live performance that embodies his approach to organic electronic music. Rögg Collins is the newest electronic act breathing life into the Upstate music scene. This January, Baltimore indie pop outfit Super City returns to the Southeast with a stop at The Radio Room in South Carolina presented by Future Chord (RSVP here). Formed in 2014 by song writers Dan Ryan and Greg Wellham, Super City has performed and toured extensively, bringing their infectious choreographed dance rock to the stage with acts such as White Denim, Bent Knee, Rubblebucket, Tera Melos, and Vetiver. We’ve paired them up with two of Greenville’s brightest newcomers — emo indie darlings Either/Or and jangle rockers Miami Vice Principal. Grab your tickets for $7 at the door, and get there by 8pm to catch all three bands in full effect. Level up this August as Future Chord Fest returns to Greenville, South Carolina and hits a new high score — celebrating a full weekend of the region's best indie music at the legendary home of The Radio Room on August 10th + 11th. This year's lineup features a very special performance from Asheville electro-psych veterans RBTS WIN and their sizzling Charlotte hip-hop counterparts Spaceman Jones & The Motherships. You'll also discover Atlanta indie rock outfit Kid Trails (of Toro y Moi), Alabama pop project Gold Wave, and Nashville jangle rockers Slow And Steady. Local favorites Pure Ghost roll out their signature gloom pop, and slacker rock band Daddy's Beemer hikes back to South Carolina for the first time since relocating to Charlotte. Don't miss the debut performance of indie rockers Deadwyler — a brand new project led by Polymath member Tanner Corley — and see what tricks dreamo upstarts Curfue have up their sleeves. Finding Freedom shares excitable alternative blues licks, while Tides In Transit hauls a six-piece progressive rock setup back to Future Chord Fest after playing our inaugural event in 2016. Grab your Single Day and Full Weekend Passes now — on sale for just $12 per day or $20 for the weekend — and be sure to follow us on Facebook and Instagram for the latest updates, daily schedules, artist spotlights, and more. Appalachian folk-rock outfit Brother Oliver has been invited to perform at the 35th Annual MusikFest this summer in Bethlehem, Pennsylvania — alongside Styx, Trombone Shorty, Kesha, Gary Clark Jr, Joan Jett & The Blackhearts, GROUPLOVE, Dashboard Confessional, Jim Gaffigan, Jason Mraz and several others. Find them at 8pm on Friday, August 3rd at the Martin Guitar-sponsored Lyrikplatz Stage at Frank Banko Alehouse Cinemas. They'll also be performing a special intimate performance at 5:30pm on the Lagerplatz Stage. See the full lineup + get your tickets today over at musikfest.org — and stay tuned for more news from the Brother Oliver camp in the coming weeks ahead.